Sport Roll Rubber Flooring is designed for your indoor gym. Ideal for multi-use activities. Custom colors and sizes available. Please contact us with your request. SportGrain Plus™ Vinyl Flooring – vinyl flooring for gymnasiums, locker rooms, tracks and multi-purpose use! Carpeted Gym Floor Covers will transform your gymnasium into a high-end meeting space and make use of your largest assembly area without worrying about damaging your investment in the hardwood court. 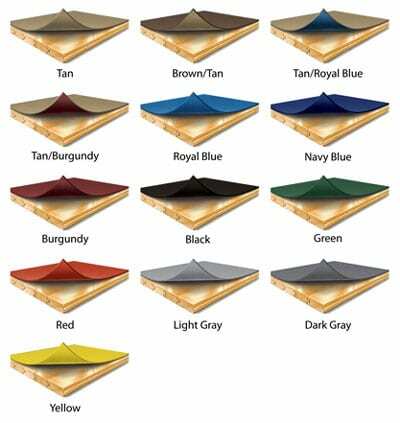 This high-performance, portable floor cover system offers stain-resistant surface and excellent sound absorption. CourtCover Light® will protect your performance hardwood court from damage during non-sporting events, such as banquet, dances, assemblies and graduations. Weight: 22 oz. and 27 oz. 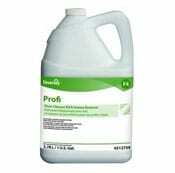 Diversey Profi™ Floor Cleaner Degreaseris specifically designed for preparation and ongoing maintenance of specialty floors such as rubber and linoleum. An integral part of a comprehensive floor care program for cleaning, stripping and sealing rubber floor. 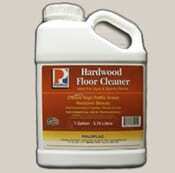 PoloPlaz Hardwood Floor Cleaner restores beauty to residential or gym floors and prolongs floor life. Cleans high traffic areas and is environmentally friendly. 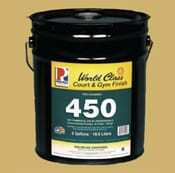 World Class 450 Court & Gym Finish is an excellent choice for screen and recoats.